And the bats’ multiple-jointed wings not only allow for subtle adjustments to the wing shape during flight—thus improving efficiency—but can also be folded very close to the body to reduce drag. This means that the upstroke of a bat’s wing is very different to that of birds. 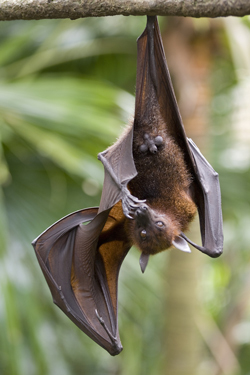 ‘The bat almost completely collapses its wings,’ said one of the researchers, Kenneth Breuer of Brown University (USA).